Skye, Obert. Very Good. 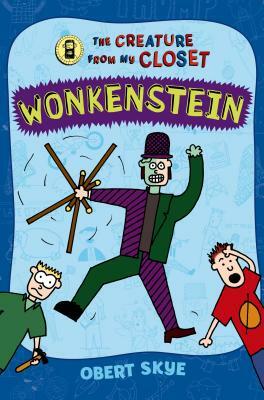 Wonkenstein (Creature from My Closet (Hardcover)) by Skye, Obert. Sewn binding. Paper over boards. 224 p. Contains: Line drawings, color. Creature from My Closet (Hardcover), 1. Intended for a juvenile audience. Skye, Obert. Good. Wonkenstein (Creature from My Closet (Hardcover)) by Skye, Obert. Sewn binding. Paper over boards. 224 p. Contains: Line drawings, color. Creature from My Closet (Hardcover), 1. Intended for a juvenile audience.